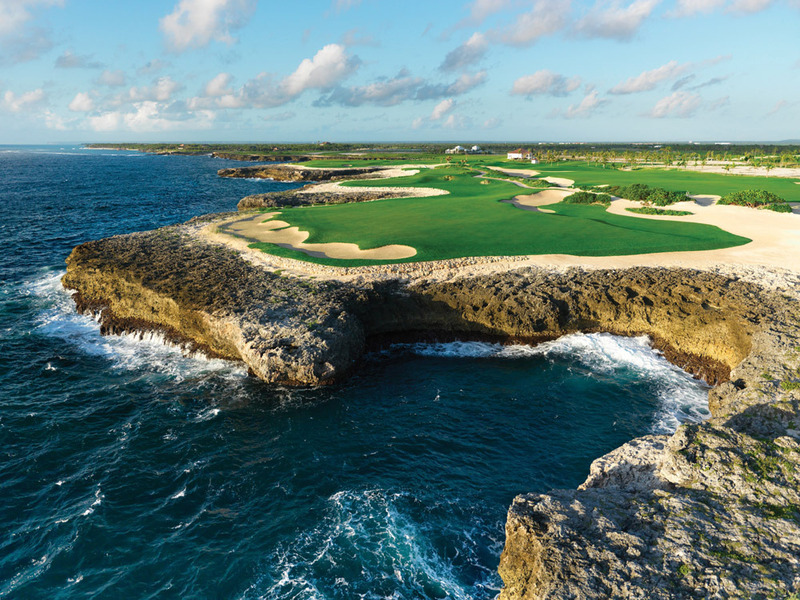 Situated on a pristine stretch of land composed of rocky cliffs and rolling terrain, the Corales Golf Course near Punta Cana Resort was designed by Tom Fazio and features six ocean-front holes providing a dramatic backdrop for Fazio's world class design. 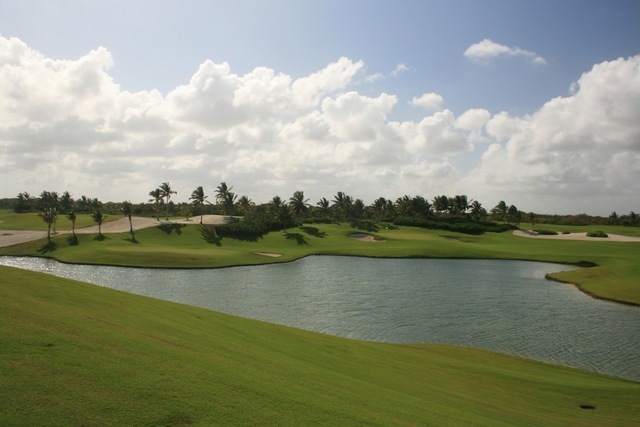 Playing more than 7,500 yards from the championship tees, one aspect of the course that becomes apparent from the beginning hole is there is a lot of room out there. 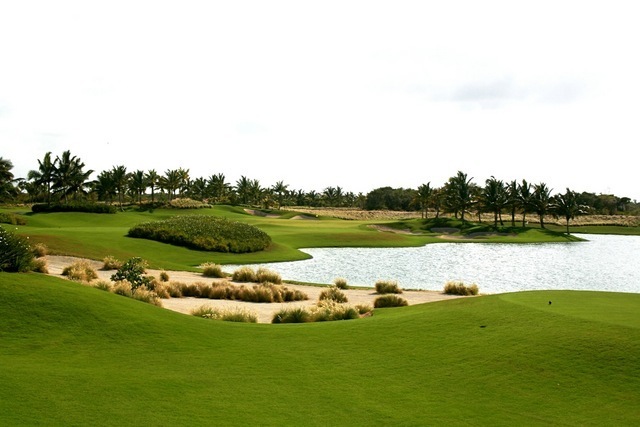 The course was grassed wall-to-wall with technologically advanced Paspalum Turf and is perfectly conditioned with no blade of grass out of sync. 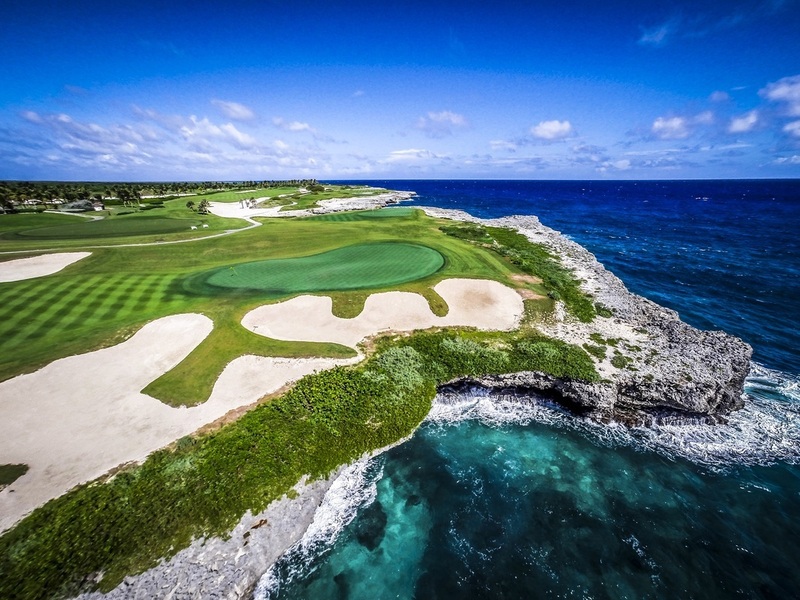 The 8th hole plays entirely along the sea, while the 18th is easily the most spectacular hole on the course. 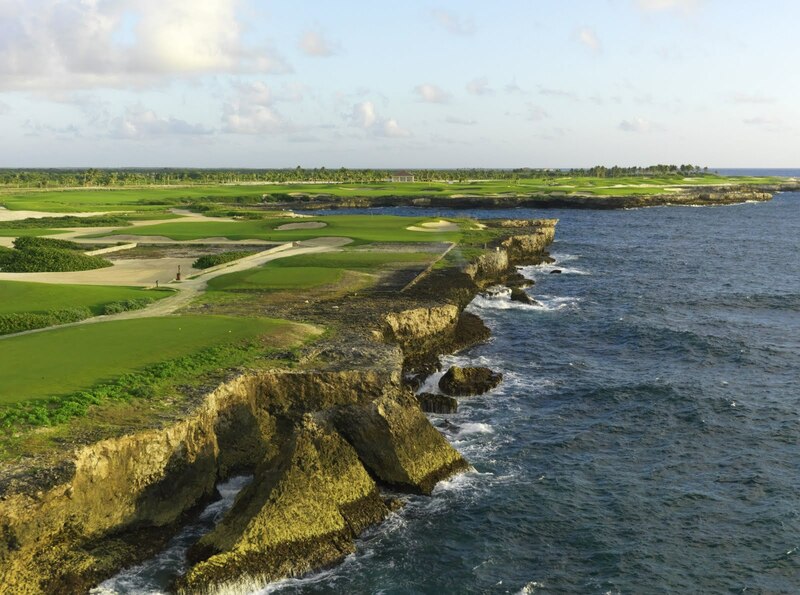 A long par-4, dogleg right around the cliffs and crashing waves will challenge even the most accomplished golfers, daring players to try a drive over the sea and rocky cliffs of the Bay of Corales to the fairway on the other side. 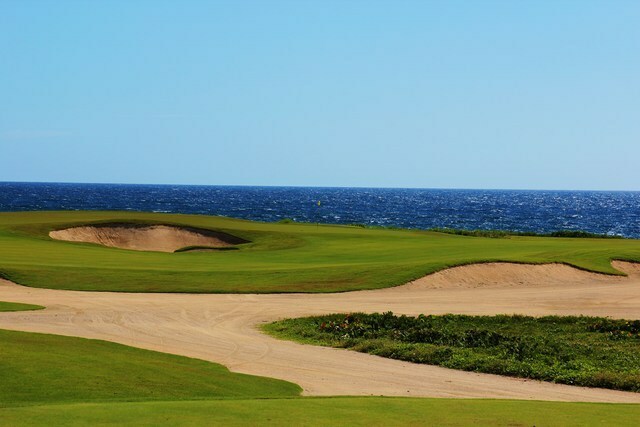 This hole will position Corales as one of the most challenging and talked about sea-front courses in the world. 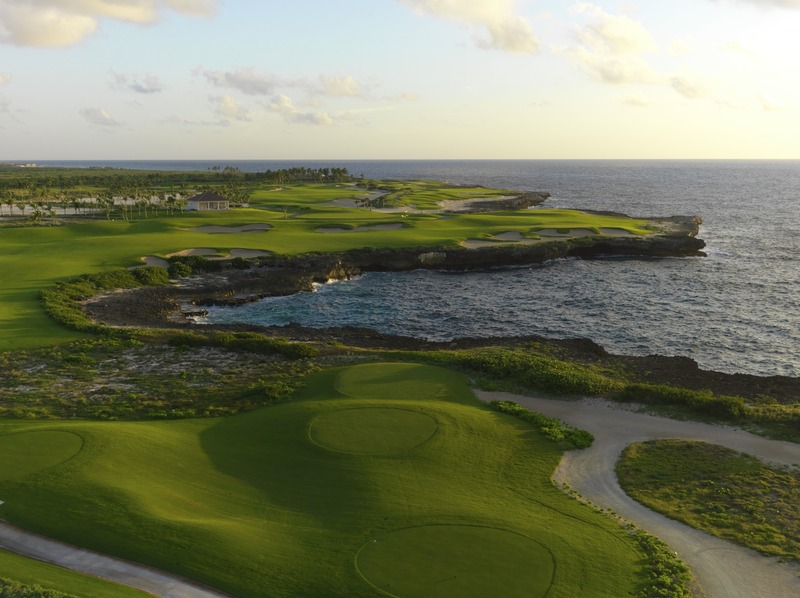 The 18th is the finale for the spectacular three-hole finishing stretch starting at No. 16 known as "El Codo Del Diablo" - The Devil's Elbow. 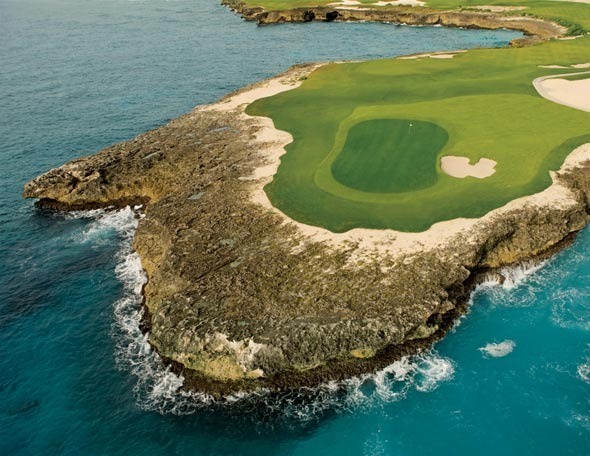 Corales is annually ranked in the Top 10 courses of the Caribbean and Mexico. 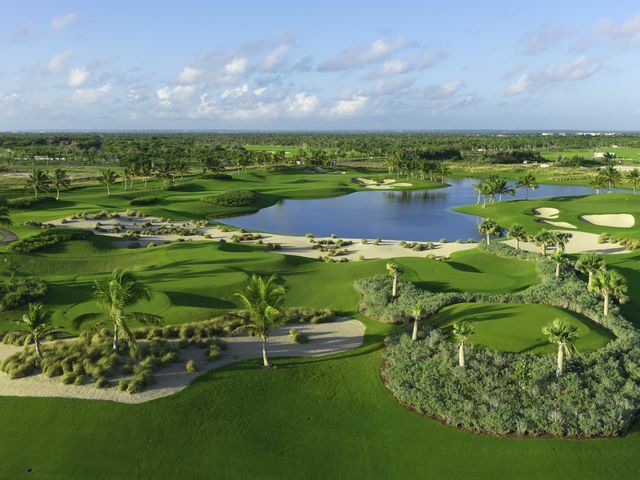 Forecaddie is required at Corales Club ($30.00/cart + gratuity).